Home / Everything Else / 10 Special Edition Boots That Are Guaranteed To Make You Feel Extra Special! 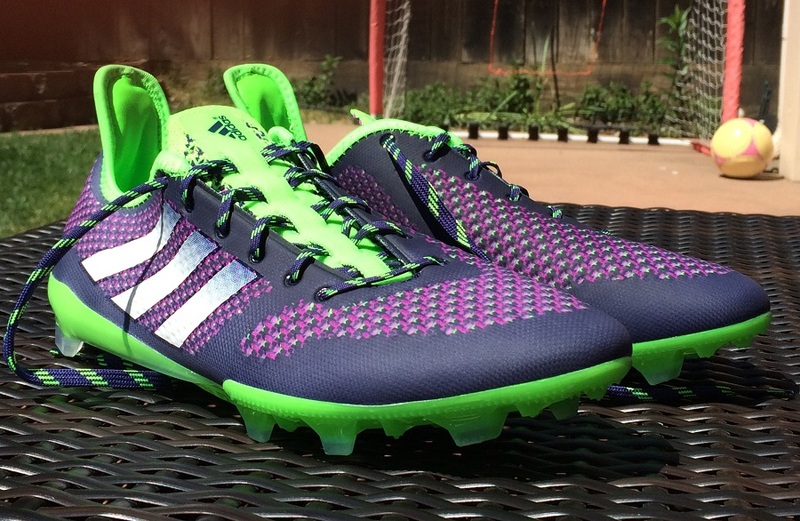 10 Special Edition Boots That Are Guaranteed To Make You Feel Extra Special! Over the past year, limited and special edition boots have become all the rage, and we have been exposed to an over abundance of “buy them before they disappear” releases. As much fun as it has been, a number of those boots have popped up in limited numbers and now is the prefect opportunity to pick up a pair if you have a need for something extra special. 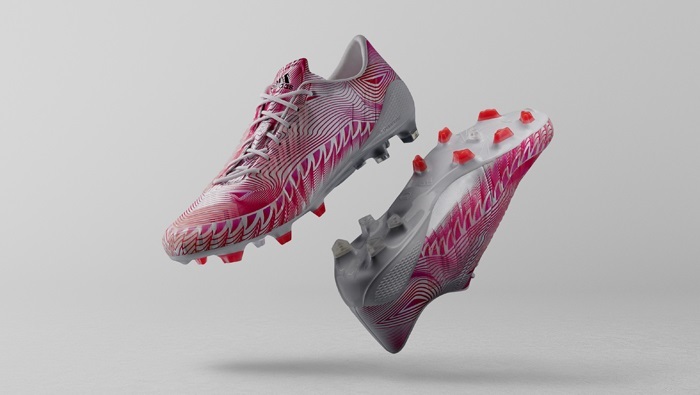 These are boots that at some point were in peak demand, but either due to returns or inventory updates, have become available in more sizes on soccer.com. Prices are, for the most part, a lot higher than your conventional release. But, my top tip is to use a website like eBay as the perfect source to find out the value of the boots and how easy it is to obtain a pair! Ok, so this is a silo that has only been recently released and players are still acclimatizing to the design. But, they are in hot demand at the moment and any available pairs are sure to disappear real quick. We have received requests on how to pick up a pair in recent weeks – well this about as good as it gets. Price: Full retail, they are available for $299. 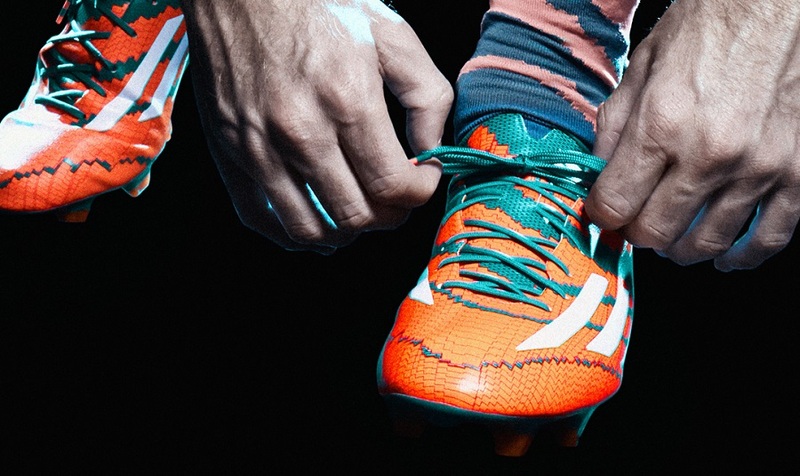 The adidas Messi mirosar10 boots were inspired by Leo’s upbringing in Rosario, Argentina, where he learned the game and scored his first goals. On release, they received a mixed reaction but ultimately fans were more impressed than they have been with several other Messi releases over the past few seasons. It took a few weeks, but they had officially disappeared before this surprise set of releases. 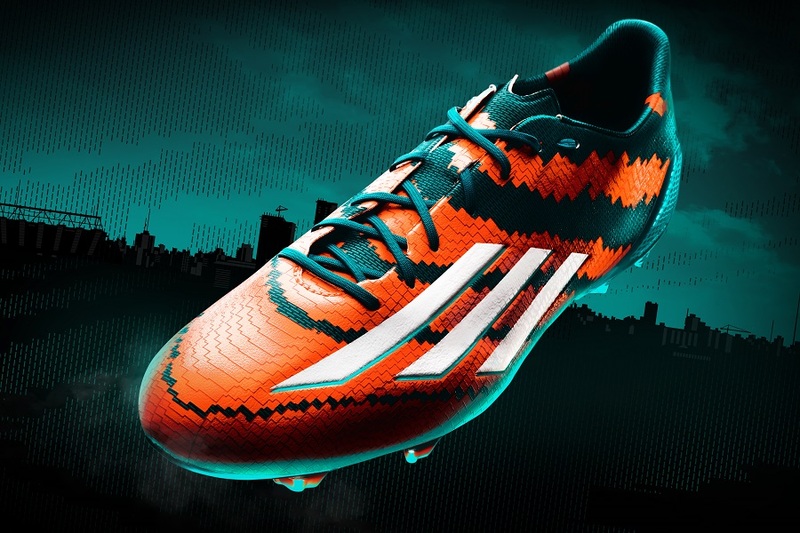 Messi fans are sure to snap them up fast, so this is a pair you might need to move on quickly. The Hunt Pack was a bit of a mystery; they were released in unison with the celebration of the Predator’s 20th anniversary, yet the effect seemed out of place. Across the upper, they had a glow in the dark effect that was set to “ensure players stand out across the globe as the nights get ever darker through the winter.” But who plays in the dark? 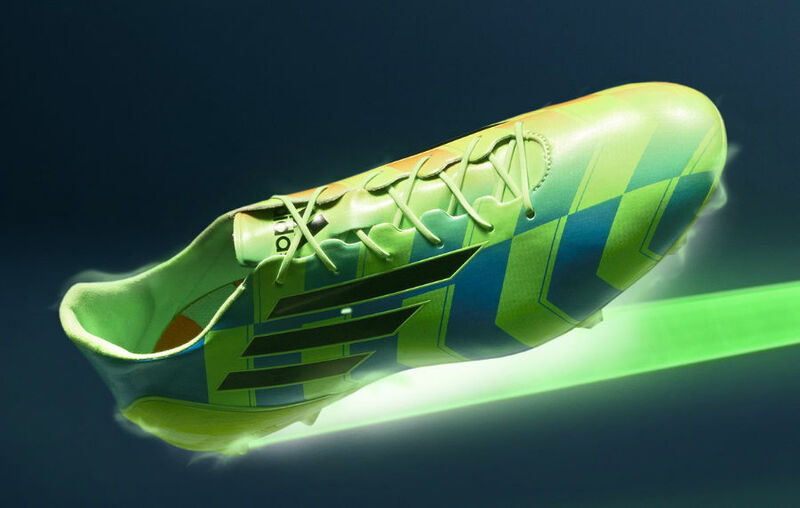 Either way, they were super popular with adidas fans and the f50 received plenty of attention. If you regularly play night games, they might come in useful as you hunt down a stray ball that goes into the bushes behind the goal! 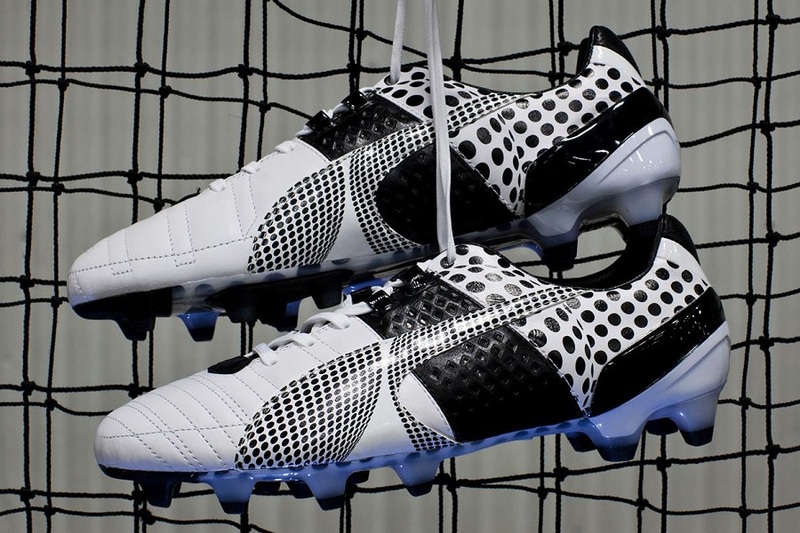 Released to celebrate the 2015 Africa Cup of Nations, only 500 limited edition pairs were created. 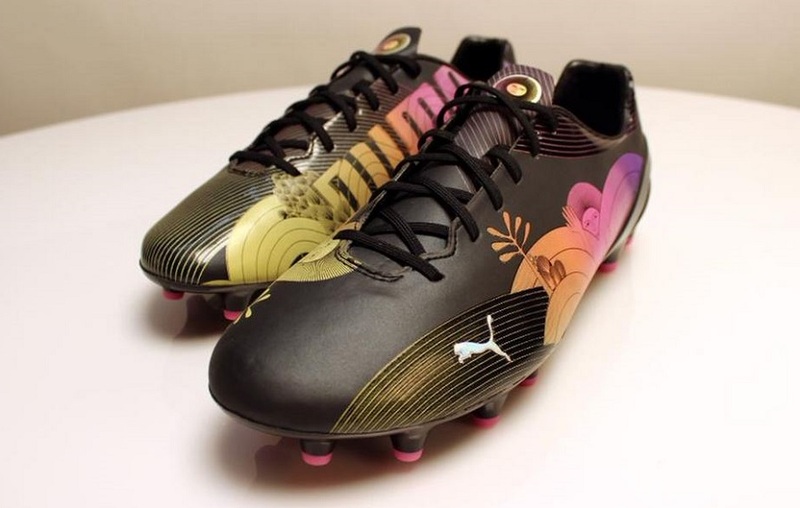 Featuring a premium monolayer microfiber upper, on this version Puma adds a unique lined GripTex print for touch and control on the ball. From all images, it looks like this texture runs on the right boot only, with a smooth layer on the left. So, depending on which foot you predominantly use, performance is likely to differ. Given the limited number released, we are very surprised to see so many sizes currently available. But, on their release date they sold out very quickly. It is likely that all pairs were not delivered and in stock at the time, thus the re-listing. A definite collectors edition! In some circles, this release was touted as the adiZero SL, and that is understandable considering what they had on offer. But, these came with some notable differences. Out is the leather upper and replaced by a thin synthetic microfiber. Out is the comfort soleplate replaced by the Sprint Frame and an incredibly low weight of just 4.7oz. The upper design and color combo was a real winner, emphasizing the direct speed focus of the silo. Given that these are only available in a 9US, I’m going with this being a restock boot….that won’t stay on the market very long! This one came with the slogan “perfection re-perfected”, and having experienced them, I can see what Puma was aiming for with these. Initially released as a limited edition, this is not a boot that Puma has skimped on, with a K-leather upper providing a classic premium touch and comfort from first wear. Being that they are an SL (Super Lightweight) release, you would expect the overall package to be designed for speed. And they are, coming in at a very minimal 6.2oz. If you are inspired by class, Puma has you covered. My only concern with these is overall durability. But that comes with the lightweight title. Released as part of the “Crazylight Collection”, this was the first time adidas took such an approach with the Predator silo. 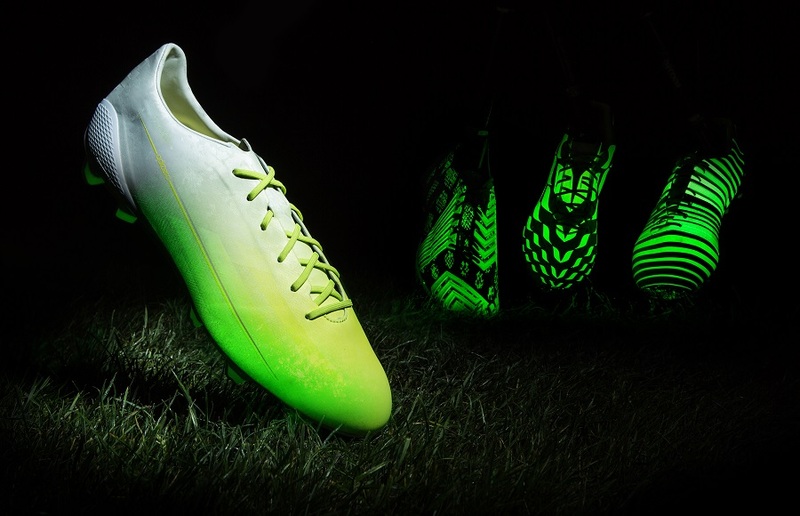 The Predator Crazylight has been designed to combine the complete control of the Predator Instinct with the lightweight technology of the Crazylight range. The boot retains the lethal zone, control pad and pass pad technology of the Predator Instinct while introducing sprintframe technology, which drastically reduces weight while maintaining the trademark control of the Predator range. If you are a fan of bright, dizzy designs then this is a boot worthy of your feet. The King II was introduced via another fresh Puma “Camo” design. This King Camo release is inspired by optical illusion, with a black/white graphic pattern making it tough to decipher exactly what tech features have been added. 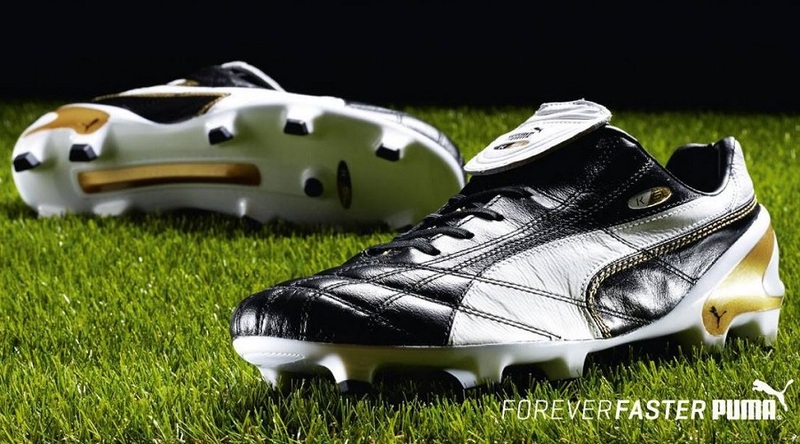 Being that the King series always has a more simple, heritage design, there is not likely to be a whole lot of tech featured, so this was more of a sneak-peak for true Puma fans that wanted to be the first wearing the boots. I can attest to the quality of the current King series, the question is whether you want that extra special hidden effect or not. Offer a pair of these to our boy Rich, and he is likely to snap your hand off before you finish taking them out of the box! 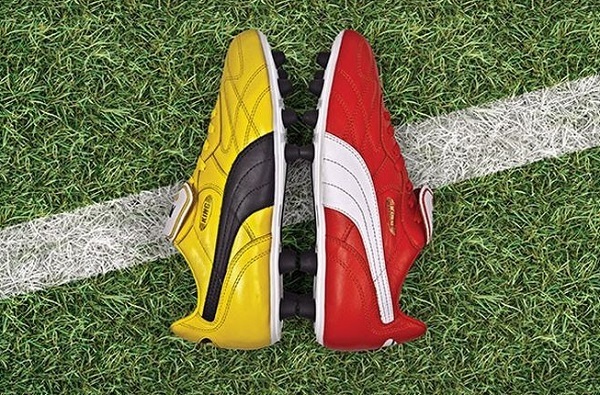 Over in Puma HQ, the design team were pretty excited about the opportunity to honor the first true instance of two-colored football boot swagger. It was 1998. In France. The world’s biggest stage set for the beautiful game and all the unexpected moments that come with it. Before his match, Cameroonian footballer Rigobert Song did something small but extraordinary. He laced up one red PUMA King boot. He laced up one yellow PUMA King boot. And he stepped out onto the pitch showcasing his team pride and confidence unlike any other. Who feels empowered to shoe their source of self-expression? 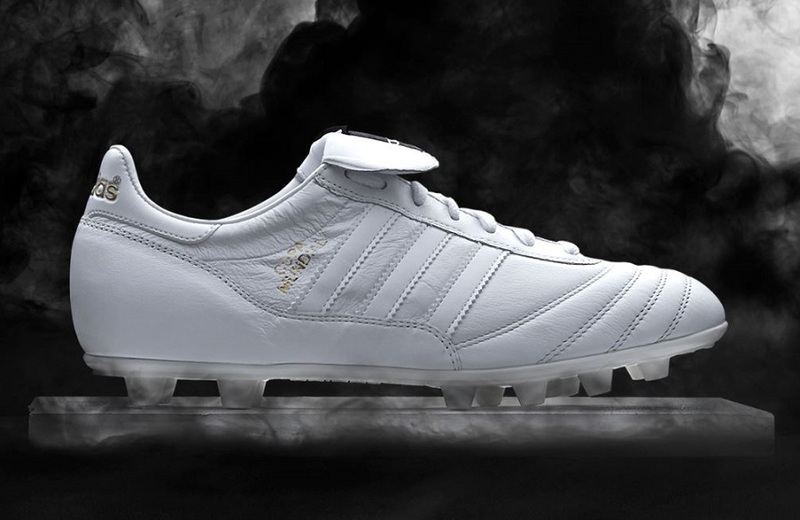 Who doesn’t love a little extra class with their Copas! Adidas brought us an exquisitely clean upper via the Black/White Pack that sent fans of the traditional silo scrambling for a pair. This Whiteout entertains the beautiful nature of the K-Leather boot in a single tone and is sure to make some old-school player the envy of a select percentage of their friends. Our advice, get these boots and keep those friends!